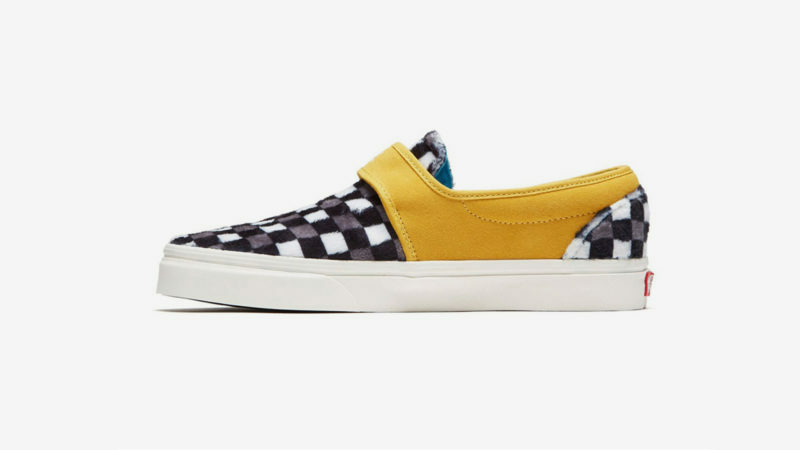 Vans honors Bowie’s rich legacy with four of its most popular sneaker silhouettes. 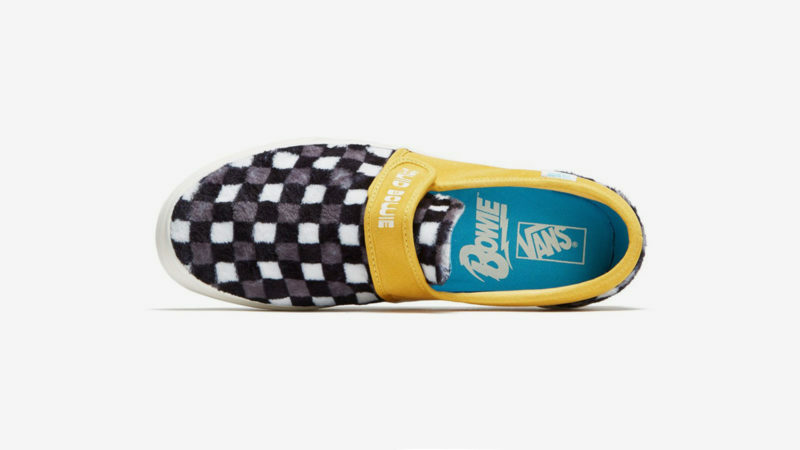 There are no shortage of David Bowie fans here at IMBOLDN, but even we were surprised to see the international outpouring of grief and tributes in the wake of the chameleon-like artist’s death in 2016. 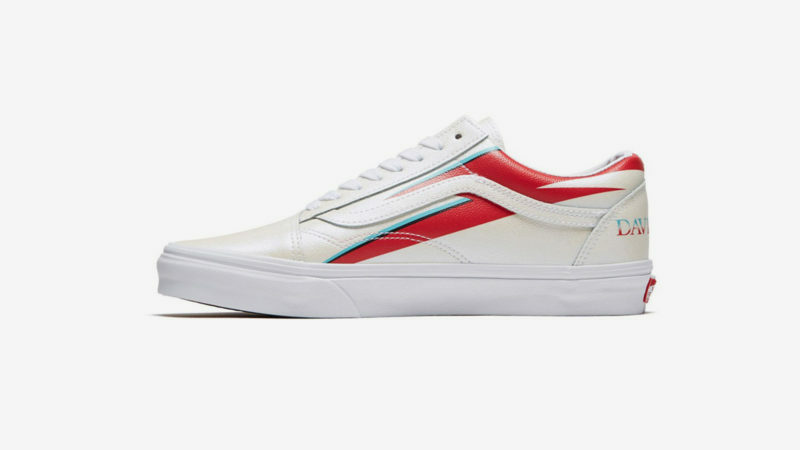 Now, Vans is honoring Bowie’s rich legacy with four different themed shoes that come in four of the company’s most popular sneaker silhouettes — Old Skool, Era, Slip-On 47 V DXS, and Sk8-Hi. 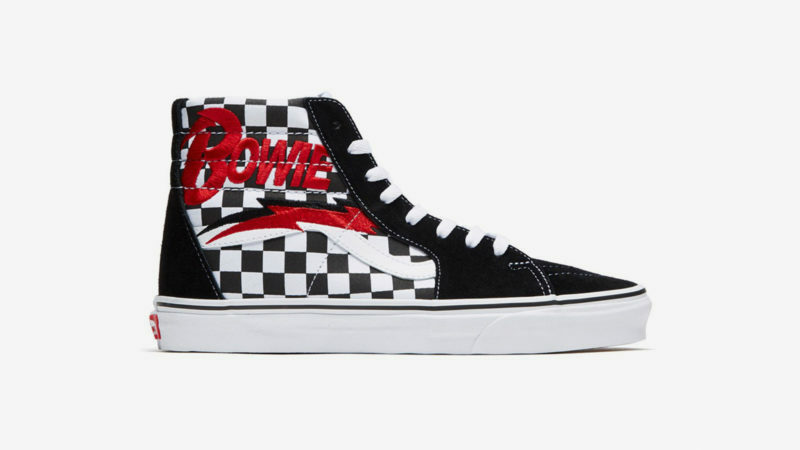 Whether you’re a Ziggy Stardust fan or prefer Bowie as the Thin White Duke, Vans has a shoe for you. 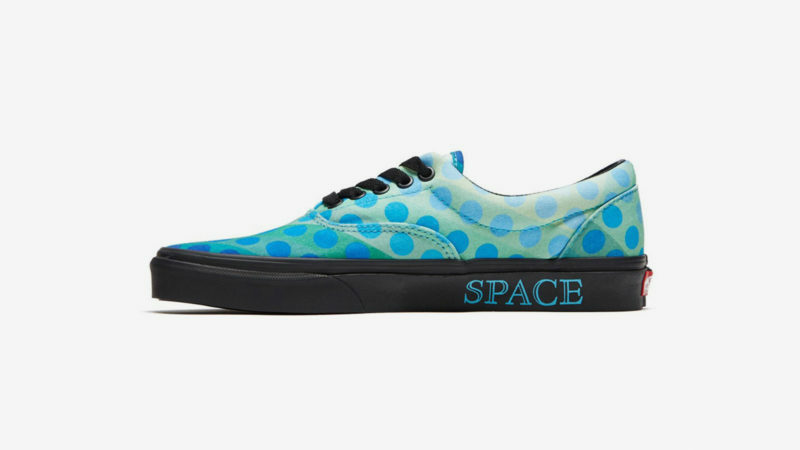 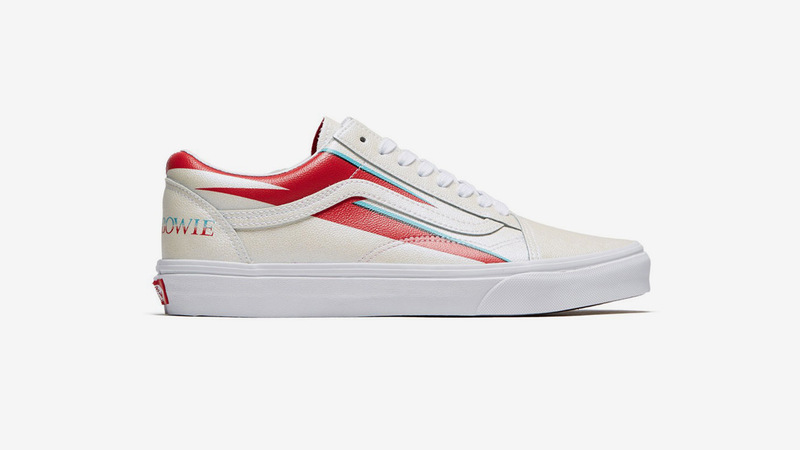 In fact, the David Bowie x Vans Collection features designs and colorways from four different Bowie albums/eras: Space Oddity, Hunky Dory, Diamond Dogs, and Aladdin Sane. 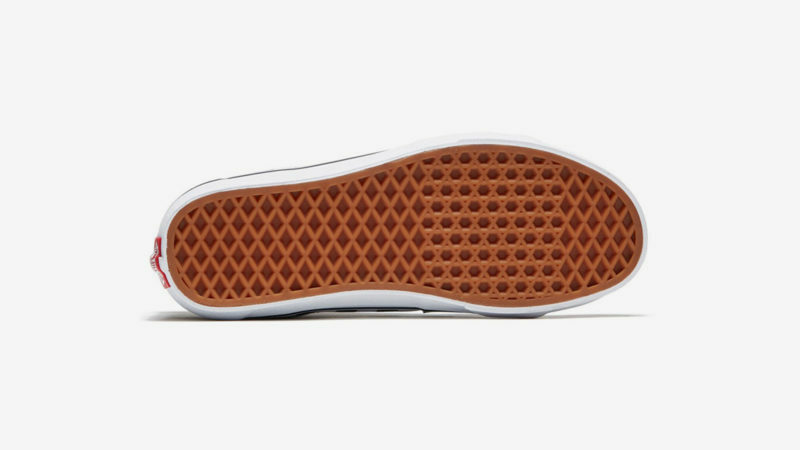 Key elements of this line include an all-leather cut of the Old Skool and suede upper on the Slip-On 47 V DXS. 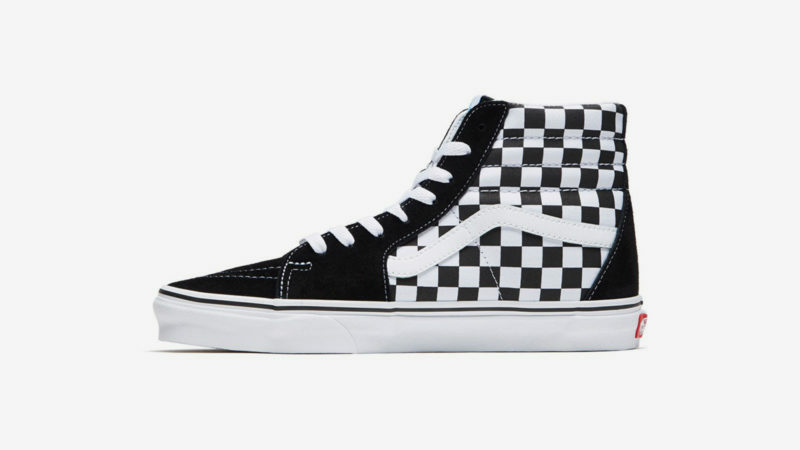 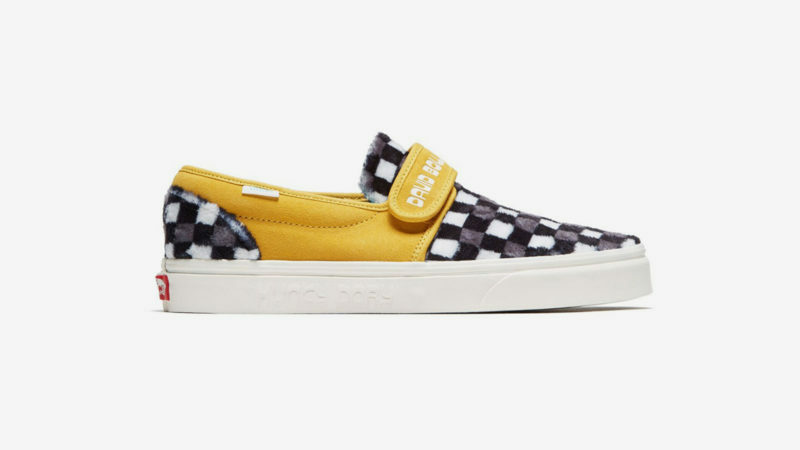 As an additional flourish on the Slip-On, Vans refashioned its signature black and white checkers in a faux-fur style.